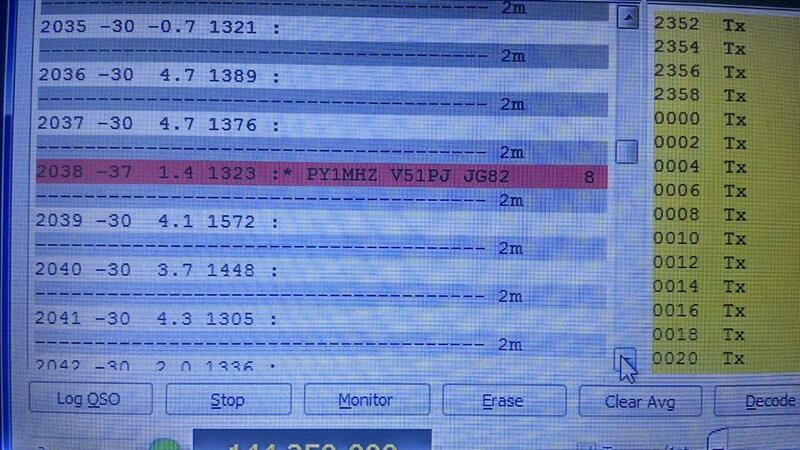 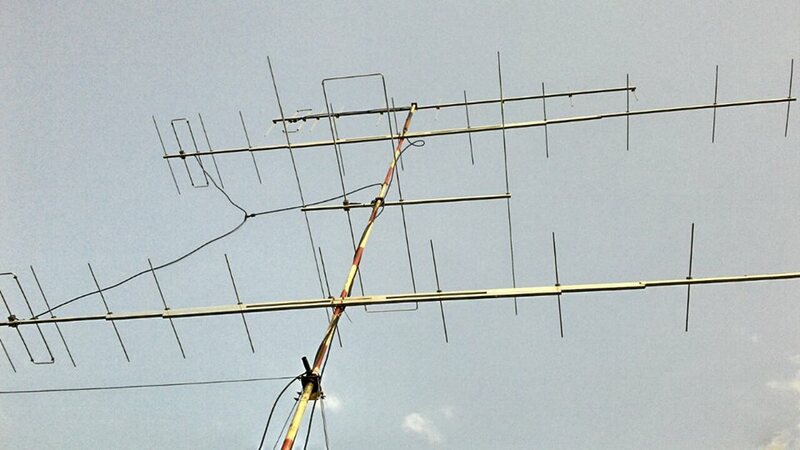 “Successful Bilateral Transatlantic 144 MHz QSO made ! 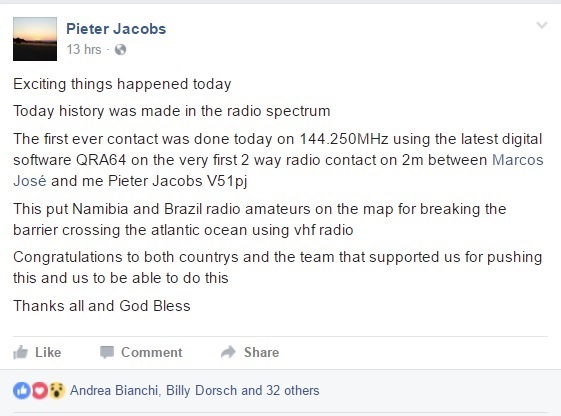 Between 04 and 05 October 2016 a new record was set. 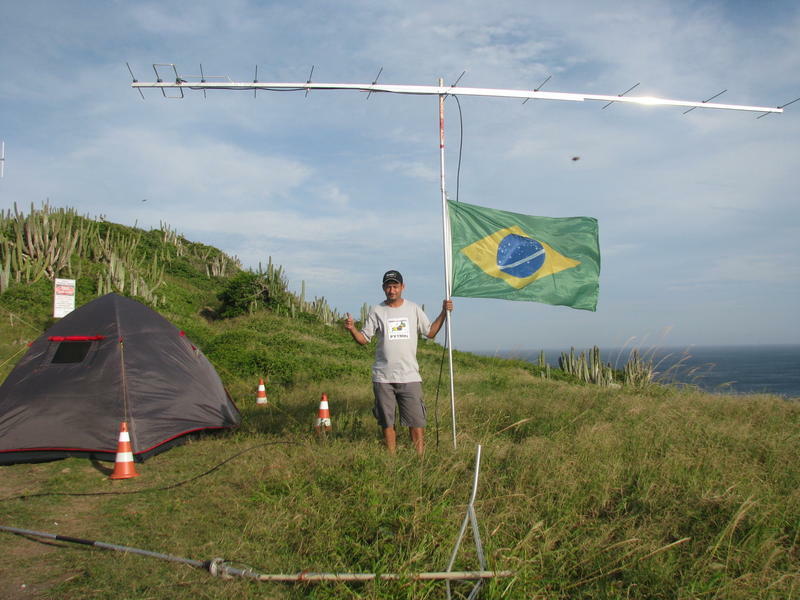 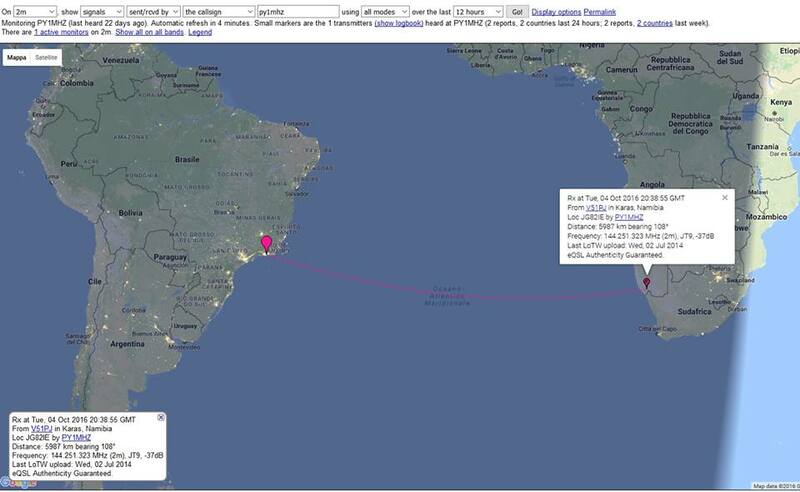 PY1MHZ Marcos received in the city of Rio de Janeiro, Brasil from locator GG87JC the 2 m signal of V51PJ from locator JG82IE in Rosh Pinah, Namibia by using digital mode WSJT-X via Tropospheric ducting.